No matter what kind of home heating equipment you have, Ozono Air is here to help. We have been in the HVAC business for over a decade, making us your number one choice for heating services in Orlando and the surrounding metro area. We are committed to offering you exceptional customer support and reliable service for all your heating needs. Our goal is to keep our prices affordable and honest, ensuring you receive the treatment and respect you deserve. We also offer warranties on all repairs and new heating equipment installations. So what are you waiting for? Schedule your next heating services with Ozono Air right away! 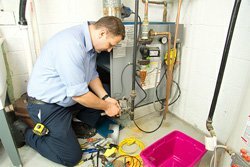 Our professional technicians are able to handle a wide variety of heating services, including repairs and installations of numerous heater makes and models. Make sure you keep your home warm during the winter months by scheduling service today. Contact Ozono Air at (407) 240-1199 to make an appointment with our skilled technicians.